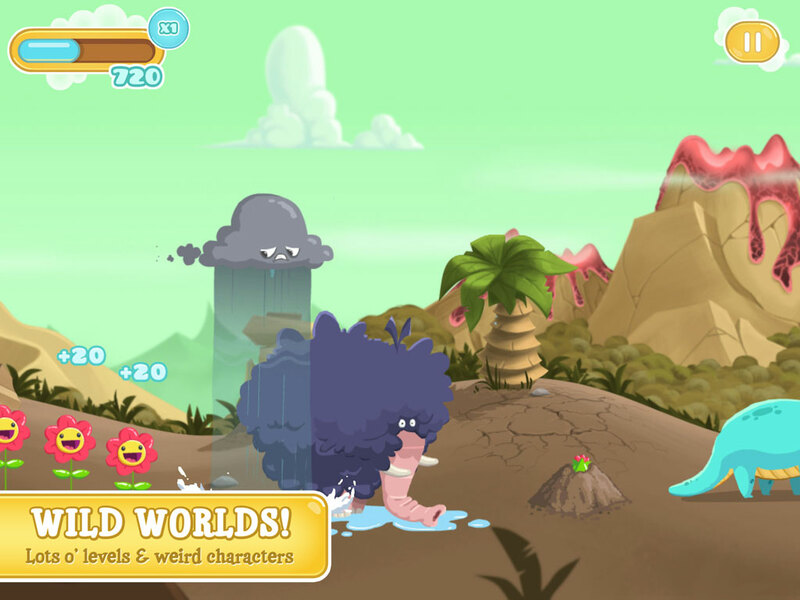 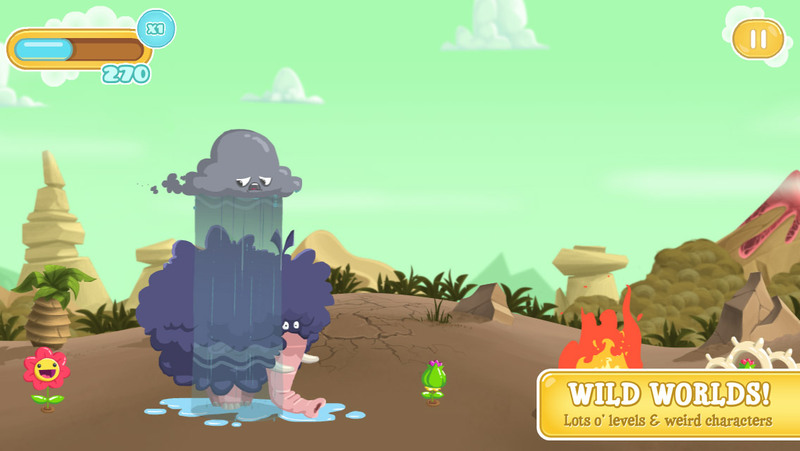 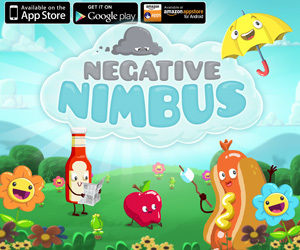 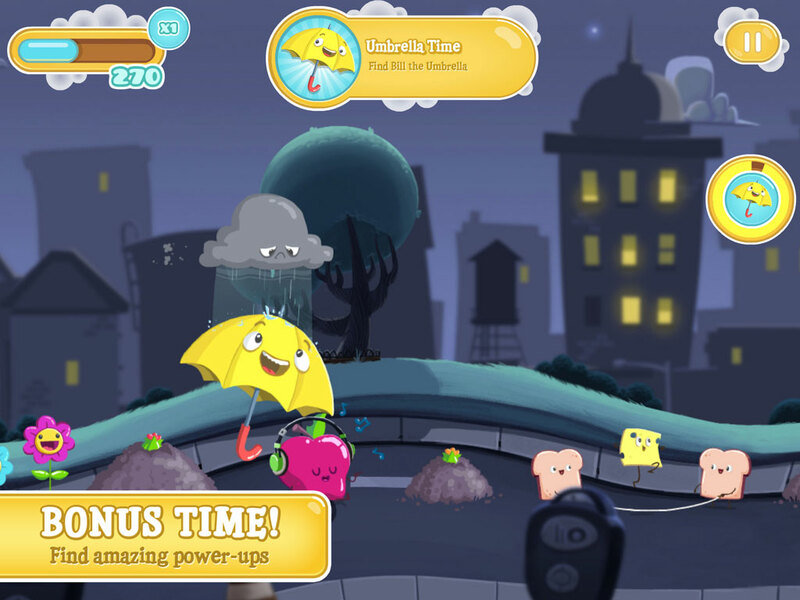 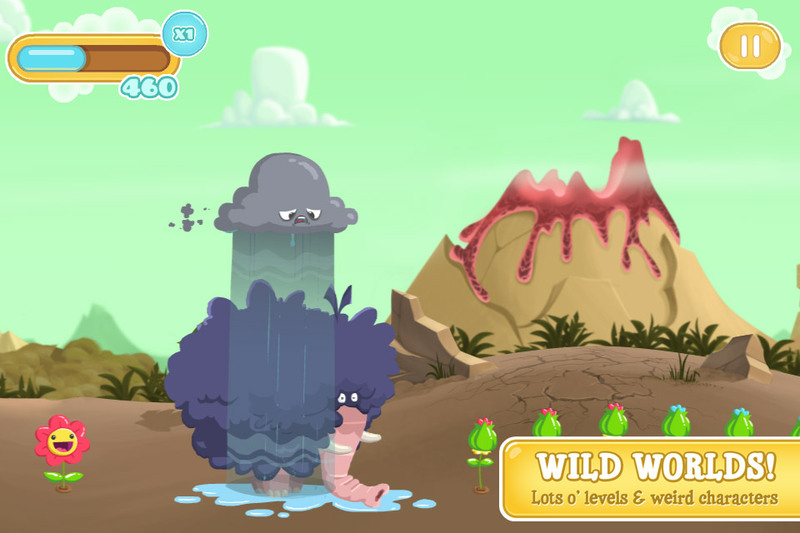 Negative Nimbus, the wonderfully odd game about a lovable-but-curmudgeonly raincloud who can’t stop raining, is now available through the iTunes App Store, Google Play, Amazon Appstore and Nook Apps. 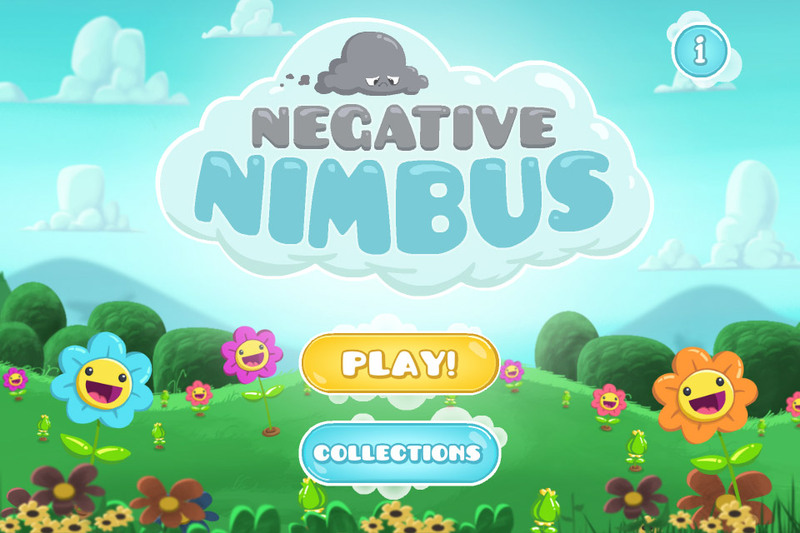 Developed by three-time Emmy-nominated indie studio CloudKid, this beautiful touch-based app won the award for best visuals and design at the Boston Festival of Indie Games. 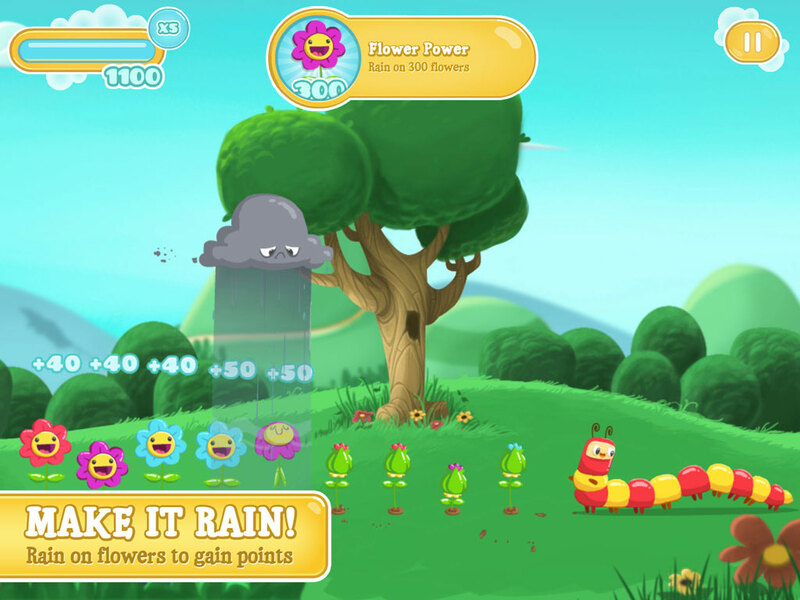 Players guide Nimbus through the stunningly animated worlds of Sunnyland, raining on all the flowers and trying to keep everyone else dry. 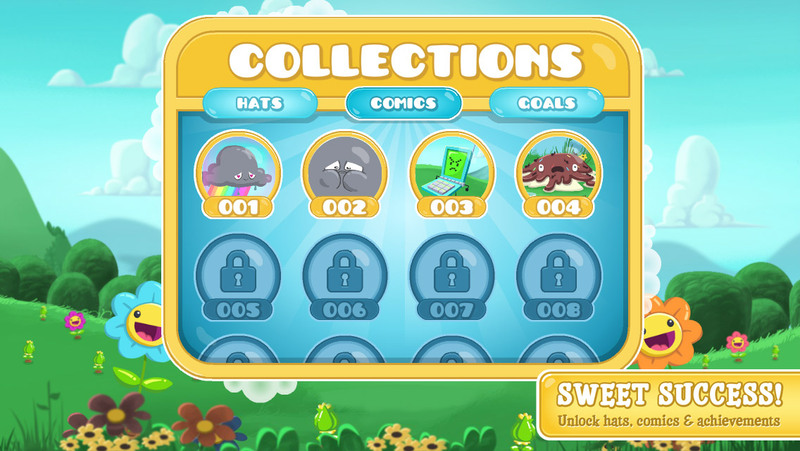 The simple, intuitive tap-and-swipe gameplay is designed for gamers of all ages to explore these immersive levels and avoid soaking its dozens of quirky characters. 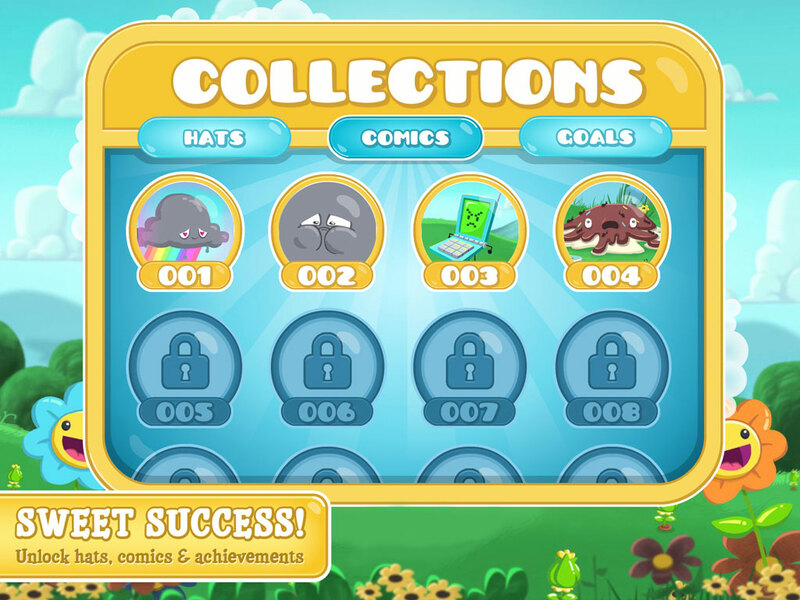 In addition to supporting iPhone and iPod Touch, the new-and-improved version has more levels, more comics, more hats, more achievements and more overall awesomeness. 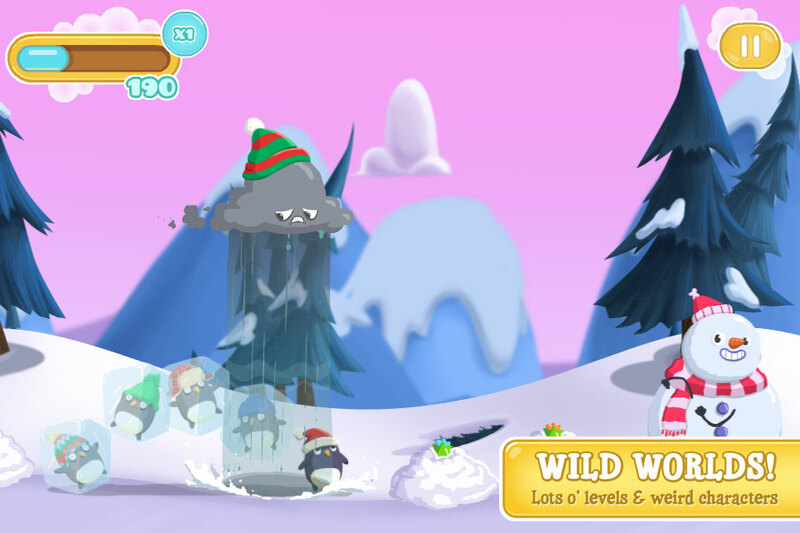 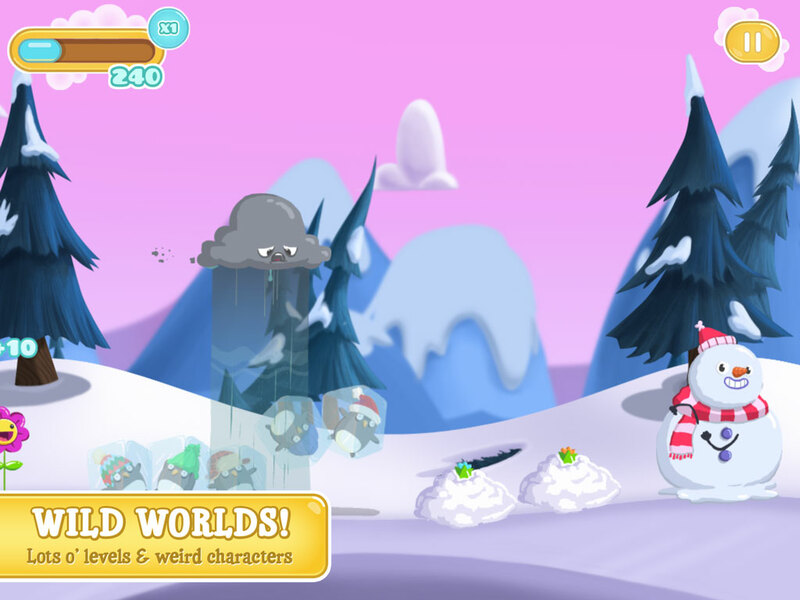 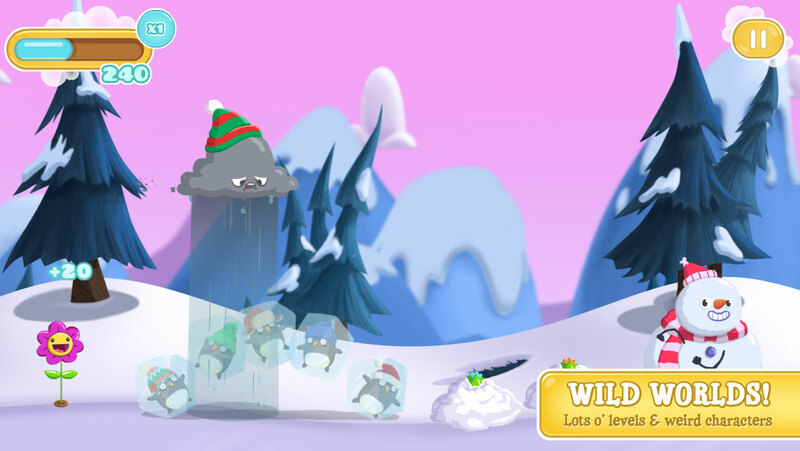 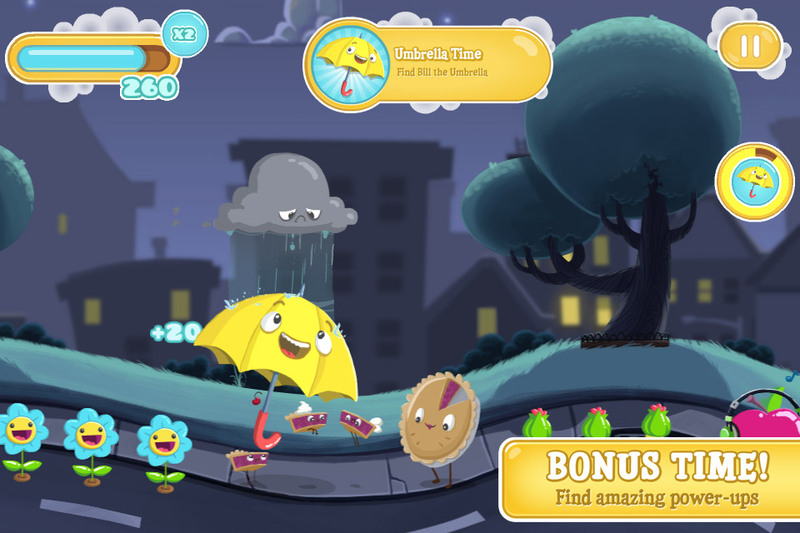 Sunnyland characters also appear in the Negative Nimbus Weather app, a comic and animation-packed forecast utility app. 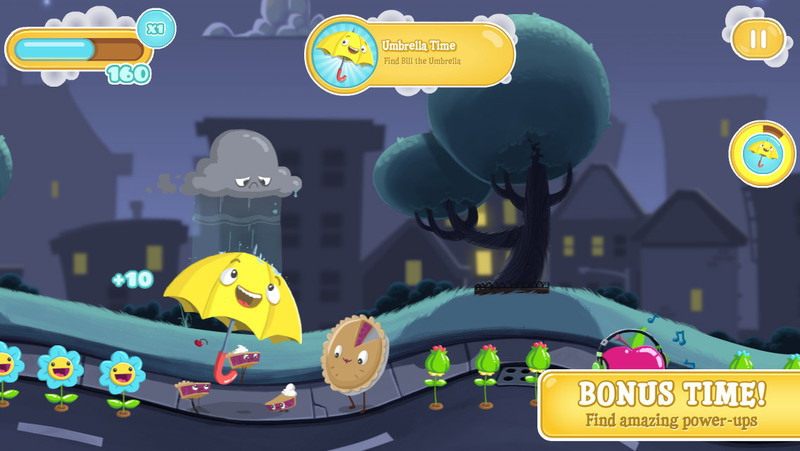 The weather app is available for iOS devices for free in the App Store. 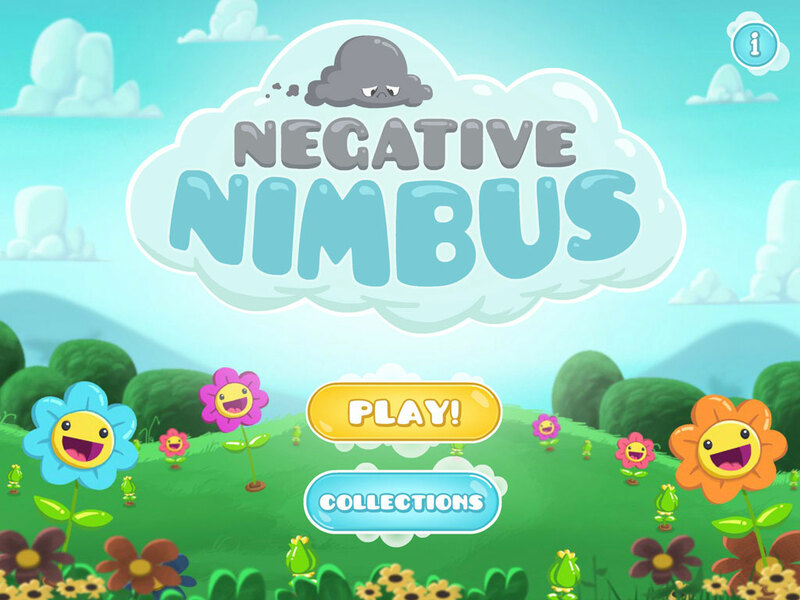 With simple tap-and-swipe controls, players will accumulate points by helping Nimbus rain on flowers while keeping other characters dry. 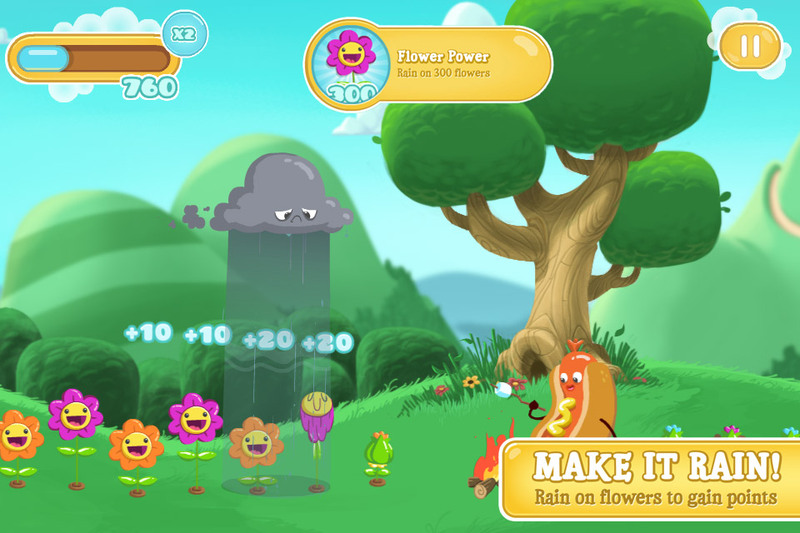 Rain on sunflowers to gain multiplier bonuses, use Bill the Umbrella for extra points, and unlock achievements, comics, and lots of accessories along the way. 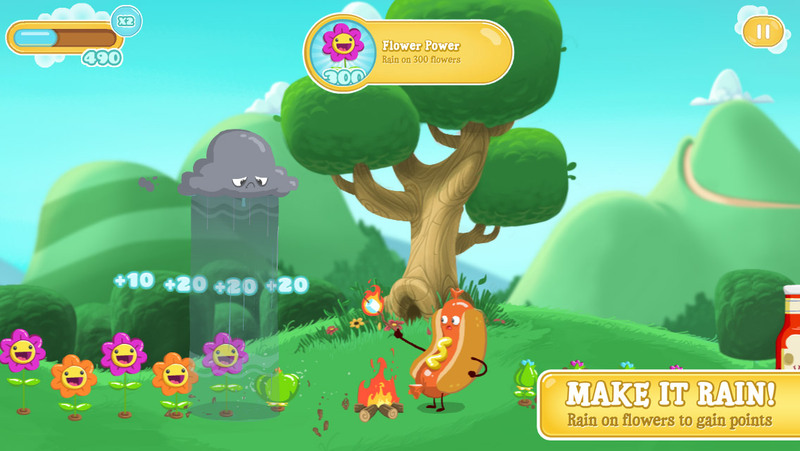 An independent, interactive media studio located in Boston MA, CloudKid thrives on pushing boundaries and discovering how to bring creativity and art into the most cutting-edge media formats. 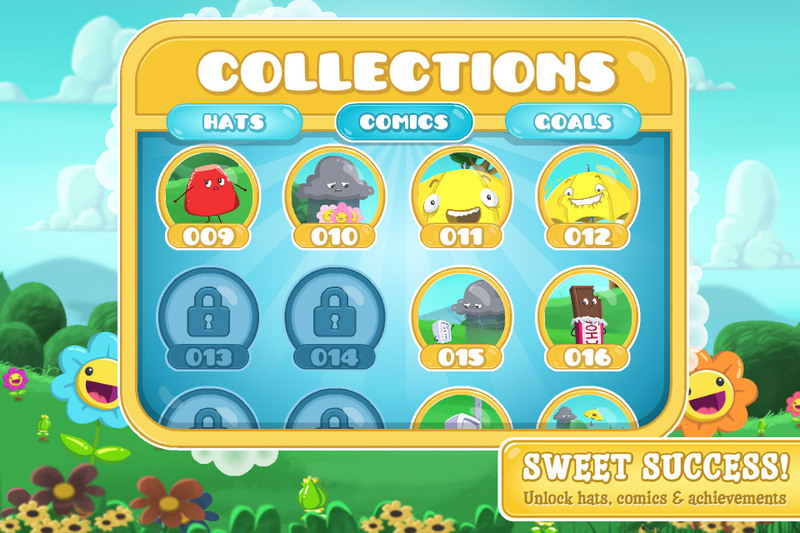 A three-time Emmy-nominated studio, CloudKid successfully combines character, story and gameplay through an innovative transmedia approach. 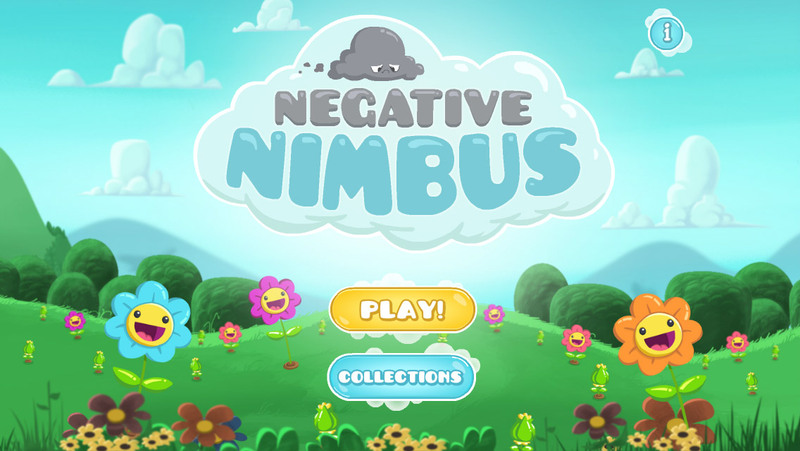 Negative Nimbus is CloudKid’s premiere original game and was concepted during the studio’s first game jam. Nimbus has been a labor of love that the CloudKid team has worked on for the past year.